Much of southern B.C. remains under an air quality advisory, as smoke from wildfires in Washington State drift north of the border. 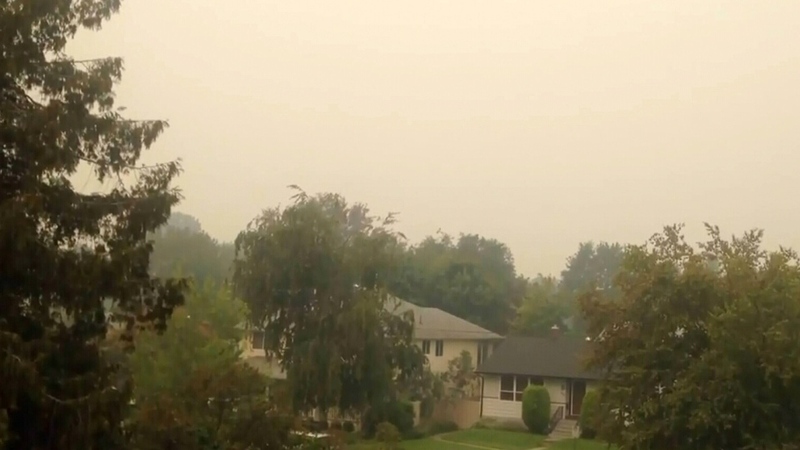 Environment Canada issued air quality statements for large parts of the province Sunday, and Metro Vancouver issued an air quality advisory, warning of elevated concentrations of fine particulate matter in the central and eastern Fraser Valley. "Persons with chronic underlying medical conditions should postpone strenuous exercise until the advisory is lifted," the advisory said. "Exposure is particularly a concern for infants, the elderly and those who have diabetes, and lung or heart disease." 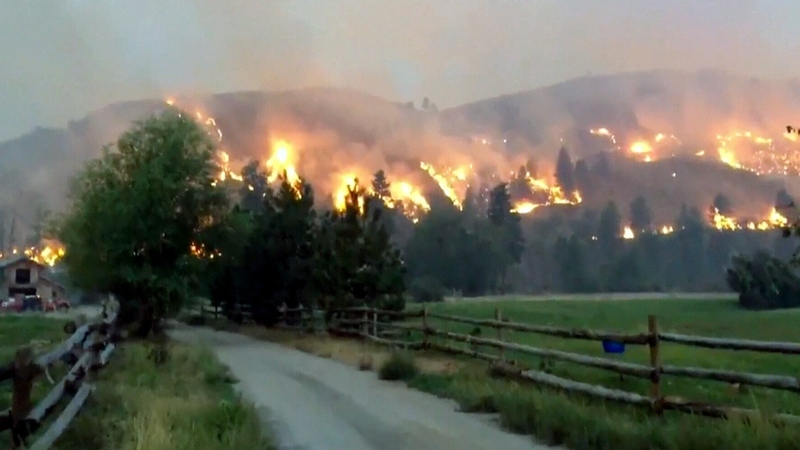 More than a dozen wildfires have spread across an area of nearly 2,400 square kilometres in Washington State. The massive blaze has killed three firefighters and destroyed more than 200 homes. Under a state of emergency, Washington has taken the unprecedented step of training volunteers to work alongside professional firefighters. 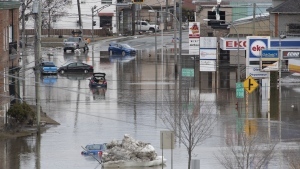 As well, more than 30 Canadian firefighters have joined the efforts on the frontlines. Jordan Turner, a B.C. fire information officer, said the Stickpin fire covers approximately 192 square kilometres, and is located about five kilometres from the Canadian border. Turner told CTV's Canada AM that the fire has slowed down quite a bit, but is still "active" and "dangerous." He added that all the smoke in the region is hampering the firefighters' response, as they are not able to use air resources. "We're not able to use helicopters or air tankers to fight this wildfire," he said from Grand Forks, B.C. "And it's difficult for our crew members to fly above the fire and get an idea of the terrain." The smoke from the wildfires is expected to start clearing Monday. And while that will help clear the air in the region, it may create more problems for the firefighters. They say the smoke has been helping to smother the flames, and open skies could make fire conditions worse. 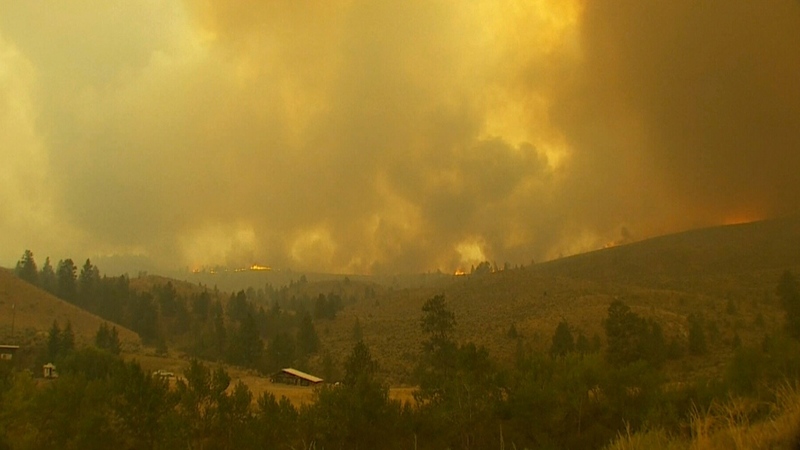 Washington wildfire prompts air quality advisories in southern B.C. Smoke from wildfires in Washington State have drifted north of the border into southern B.C.